The Agenda series is about amplifying the impact, both social and economic, of arts and culture in Greater Philadelphia. In Agenda: Prosperity, we focus upon data that proves that arts and culture supports families, neighborhoods and cities and serves as an economic engine for the entire region. Arts and culture supports 55,000 full-time equivalent jobs throughout the region. Arts and culture returns $1.3 billion in household income to Southeastern Pennsylvania residents. The arts are a great return on investment and generate $224.3 million in tax revenue at the local and state levels. The findings in Agenda: Prosperity are based on information collected from 1,485 audience surveys and the spending information from 492 arts and culture organizations in Southeastern Pennsylvania. 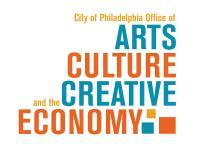 The Cultural Alliance joins 340 other partner organizations across the country in Americans for the Arts’ national study, Arts and Economic Prosperity 5, and is the local partner for both the Southeastern Pennsylvania and City of Philadelphia editions, which come together to form Agenda: Prosperity. Additional data analysis for Agenda: Prosperity was done by DataArts. Additional support for Agenda: Prosperity provided by the Dolfinger-McMahon Foundation. Americans for the Arts’ work on AEP5 has been supported by the Ruth Lilly Fund of Americans for the Arts, the John D. and Catherine T. MacArthur Foundation and Barr Foundation.